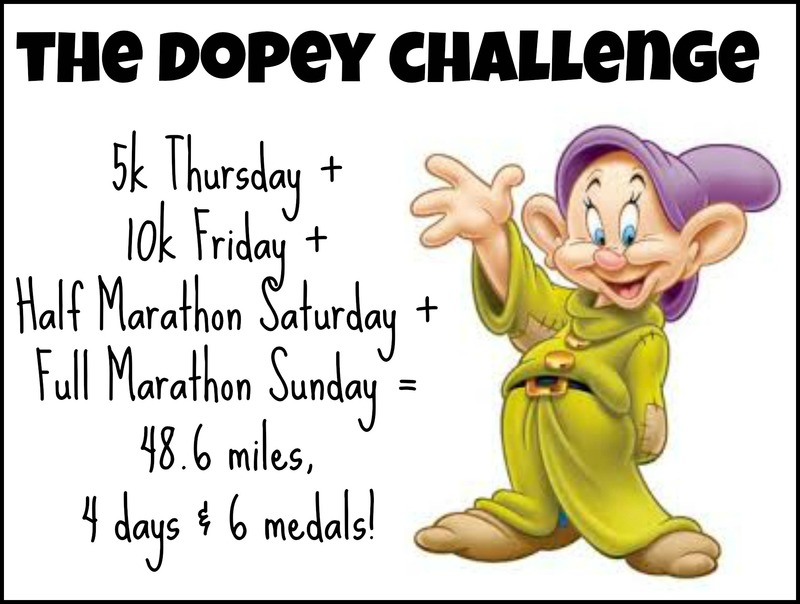 With the Marine Corps Marathon in the books, it’s time to focus on training for the Dopey Challenge which is just over 2 months away! 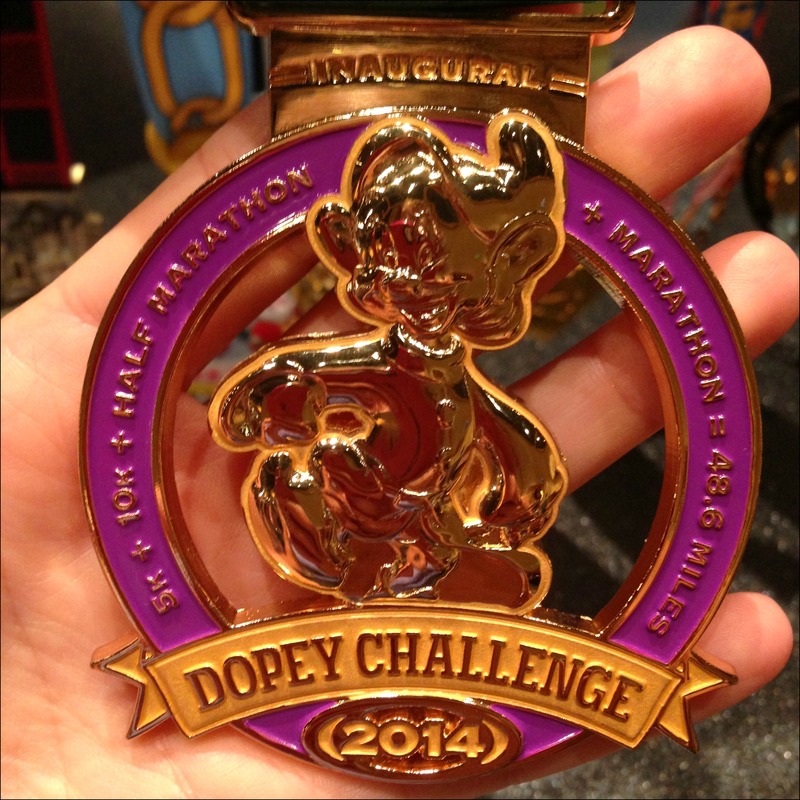 And for your efforts you will receive not only the medal for each individual race, but the Goofy medal (Goofy is completing the 1/2 & full marathon) and a medal for completing the Dopey Challenge! Since the Dopey Challenge is new and pretty unique there aren’t too many resources out there for training, but I did manage to find a few and from there I put together my own training plan (which I prefer to do to take into account my personal schedule, other races and what I know works best for my body). 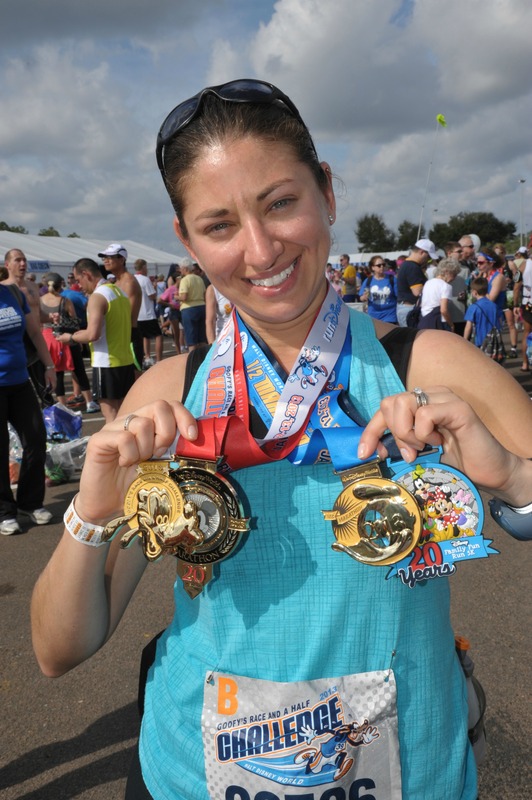 Since I did the “unofficial Dopey” last year – the Goofy + the 5k (there was no 10k last year), I am confident my body can handle the back-to-back distances if I train properly, get to yoga on my non-run days and focus on recovery between races. I’m still on a bit of a marathon high from Marine Corps, so I’m actually really excited to get started! Today’s run will kick off my Dopey training and my first “long run” will be the Wine & Dine Half Marathon this weekend! That’s a lot of bling! You really need to pace your self when doing that many races in such a short time. Good luck with the training and the races. Yes, that’s definitely the key to being able to complete a challenge like this! I just try to take each day one at a time and not try to “race” any of them, just have fun! We will also be turning into “Dopes” in January. Can’t wait for all those beautiful medals and then it will be time for a rest from running! I agree…I think I am going to need a break after this! Good luck with Dopey training. I don’t think I could ever do that kind of challenge. Goofy sounds daunting enough. Thanks Lesley! It’s definitely a lot, but I just try to train to be able to complete the distance and not worry about time for any of the races. 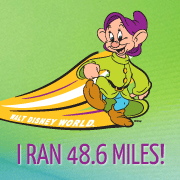 I’m pretty excited-dopey takes a lot of the pressure off for me since I’m not trying to fake being fast, I just need to get from one mile marker to the next! Hahaha, yeah, I totally know what you mean, it’s a completely different type of training, I rarely ever look at my times except to make sure I’m going SLOW enough! you crazy! good luck to you! Oh, the waking up that early is going to be BY FAR the hardest part of the whole thing! Definitely going to be limited park time for me that trip! So exciting!! We’ll have to plan a MeetUp at Wine & Dine! Yeah! SO glad we finally got to meet! Now we’ll have to try to meet up in New York sometime! I am so excited about all the fab bling you’re gonna rack up in that weekend!!!! I’m not doing Dopey or any of the Marathon weekend events. I am doing Tink and even though there’s no official challenge, am doing the 10K on Saturday and the half Sunday. I am determined to register for the Dumbo Challenge!!! I really loved the Dumbo medal!!! I love the Disneyland races, I’d love to get out there for Tinkerbell one day! You must. It’s the best Disney race I’ve done. Not to say they’re not all amazing (except I didn’t care for Princess but the bling was fab!!). Tink has a lot of “in park” and “on property” time – more than the DLand half! Will be cheering and volunteering! Hope to see you there! Let me know where you’ll be volunteering once you find out! Those medals are pretty amazing!! I can’t believe how fast its coming up! Me either! I was so startled when I sat down to make my plan and realized it was only 8 weeks away! Yikes!